The Little Brown Jug for this year is history – however, press time for this blog comes before the races at Delaware, so watch for our Sunday recap, which includes how we did for the meet with our suggested contenders as published here in our special midweek blog. The weekend racing agenda elsewhere is light with stakes since many of the divisions’ top members raced in Ohio during the week. The “Jug” after-party of racing shall be timid, at best, but there is still plenty of racing over the weekend. The autumn menu of raceways is full and the features include an appearance by Captaintreacherous at Hoosier. I have included in this blog an essay about the colt and his absence from the Jug. Don’t forget to look through the horses to watch (H2W) list below for live contenders in overnights all over North America. The exclusive list is hot with possibilities for win, place, show and exotics—however you use them, use them. The H2W produces some mighty prices and excellent exotic elements that boost combo prices. Our featured Breeders Crown Countdown event this week is the Milton Final and for that analysis to help you with your wagering decisions, Go to Breeders Crown Countdown. 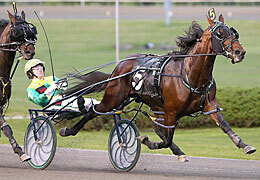 The critics of Captaintreacherous’ connections find this Saturday’s Open Pace (Jenna's Beach Boy) at Hoosier an insult to the sport because Captaintreacherous, arguably one of the best pacers of all time, will be racing in the $50,000 affair as opposed to resting from a battle for the Jug championship. Some critics sited the half-mile and heat format as reasons for re-routing “Captain” from Ohio to Indiana. Neither of those elements could be evidence for a case against the Captain if one was objective about the pacer’s prowess. Because pundits would not be satisfied even if the Captain went to the Jug and devoured all opposition. Plus, if he lost, and that would have taken a great deal of pressure that by no other colt or gelding in his crop could sustained, Captain-haters would have swooned their “I-told-you-so” song, as if it negated anything the Captain ever accomplished. In another sense, The Little Brown Jug has become more of a traditional event than a test of stamina or speed. Over the past decade, few of its champions have been champions in many other contests and they have won it against lesser competition than they fail to defeat on other occasions. The Jug has always been a strange little theater for one-hit wonders like Nick’s Fantasy, Shadow Play, Mr Feelgood (who we predicted would win months before the race), P-Forty Seven, Astreos, Shady Character and Tell All. These were fine pacers, for sure, but they were not all-out champs and were not in a category that would include the Captain. You could say, and I would, that there is nothing much left to prove for this marvelous colt. He is one of the greats and all the denials fall short of mere sourpuss behavior. My opinion was documented even before he scourged his foes early this season (click here to read essay). I didn’t get on a bandwagon, I was riding shotgun on it. 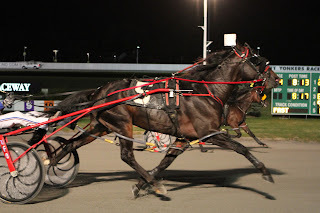 If you haven’t already gotten on the Captain bandwagon, however, there is still plenty of room and the ride through the Breeders Crown and into 2014 is bound for glory. Also on the Hoosier program Sept. 21 is the Centaur Trotting Classic with a purse of $230,000 for some of the top older square-steppers. The stars are here for another rough and tumble mile of speed and audacity. The menu includes probable favorite Market Share, last year’s Hambo winner, who has backed off of an early role as dominator of the division. The ever-enduring Wishing Stone should be second or third choice here and we will be happy with that status. Uncle Peter should be in the hunt late for exotic purposes. These first-level elders should dominate the mile. Complementing the big night are a pair of $138,000-plus Kentuckiana Stallion Management Stakes, traditional miles for freshmen this season that have made Indiana their home. These two splits are for filly pacers. The first division may offer a longshot if the morning line holds up. From the prolific crop of Somebeachsomewhere, Secluded Beach, trained by Tony Alagna, may be best. 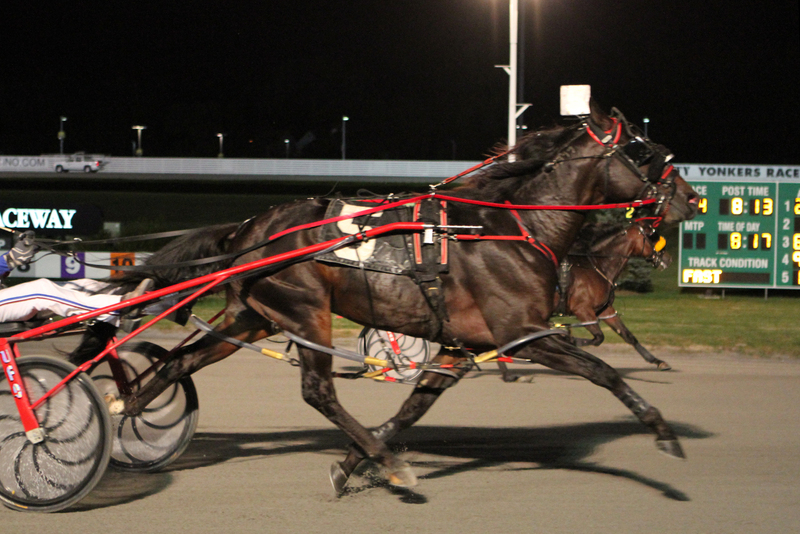 In the second, Jimmy Takter’s Ravinia Hanover may be in the perfect spot for an upset. If driver Ron Pierce chooses the favorite to drive (he is listed on both at press time), we could get a strong price on the Takter student.